Proper nutrition combined with functional exercises: For seniors, that combination can prevent sarcopenia—and help maintain independence. Lifting weights two to three times a week---even light weights---helps with strength and toning and prevents sarcopenia. For aging adults, a threat to independence and mobility is sarcopenia as a result of inactivity. For many older adults, inactivity is a process that develops over decades. The older some people get, the less active they become, meaning a decline in functional exercises. For seniors, it’s not necessarily because of physical limitations; it’s often related to behavior patterns. A less active lifestyle means losing muscle mass, which impacts balance and mobility. 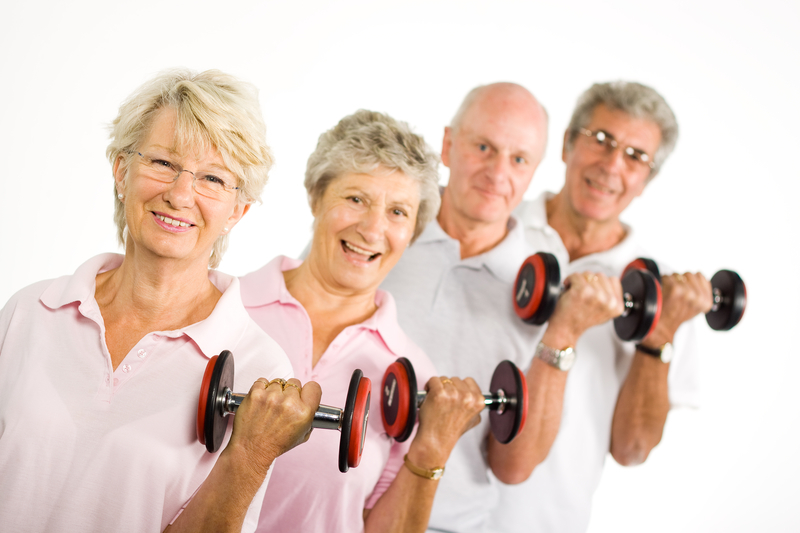 Sarcopenia is the name for age-related loss of muscle mass and strength. It’s a consequence of aging, but a systematic program of physical activity can lessen the effects of sarcopenia. There is also compelling evidence that specific dietary measures, in addition to resistance exercises, can mitigate or inhibit loss of muscle mass. More on that in a minute; first, let’s consider exercise. One of the most basic interventions to muscle deterioration is resistance exercise designed to rebuild mass, strength, and performance. Studies by The National Council on Aging show that physical activity will make you more independent, increase your strength and range of motion, and benefit your overall health. And don’t let your age, whatever it is, discourage you. It’s easy to think to yourself, “I’m too old to exercise.” The fact is, as reported by National Institutes of Health studies, you’re never too old to start exercising. In fact, exercising not only preserves muscle mass and prevents sarcopenia, but it decreases the risk of multiple health problems, including high blood pressure, balance problems, difficulty walking, and falls. Preserving muscle mass also improves mobility. A study published in The British Medical Journal found that strength and flexibility tasks embedded into routine activities improved balance, strength, function, and participation in daily life among people age 70 and over. The quads also play a primary role in movements, such as getting up from a chair, getting out of the bathtub, and climbing stairs. Strong quadriceps also help with balance and stability. You’re less likely to stumble if your quadriceps are strong. Strong quads also protect your back when you bend down to pick up an object. Iyengar: The focus is on the precision of each pose. Props, such as mats, blocks, chairs, and belts, are often used to help students reach the most perfect alignment possible for their bodies. The idea is that strength and stability are achieved by holding poses precisely. Ashtanga: This yoga method involves synchronizing your breath with a series of postures. The goal is to help warm up your body, detoxify your muscles and organs, and maintain a firm, strong body. Vinyasa: This involves the flow of poses that can become almost like a dance. There are several different types of vinyasa yoga; some focus more on alignment than others, and some are done in rooms heated to 90 degrees F or higher. Viniyoga: This focuses on individual needs and abilities through the principles of proprioceptive neuromuscular faciliation (PNF), which simply means warming up and contracting muscles before stretching, thus, decreasing your chances of injury. Stand in front of the first step at the bottom of a staircase. Hold on to the banister for support and place your right foot on the step. Lift yourself up onto the step. Lower yourself back to the floor onto your left foot as you step down. Repeat 8 to 12 times, then switch to your left foot and repeat 8 to 12 times. As you get stronger, try the step-up without holding on to a support. 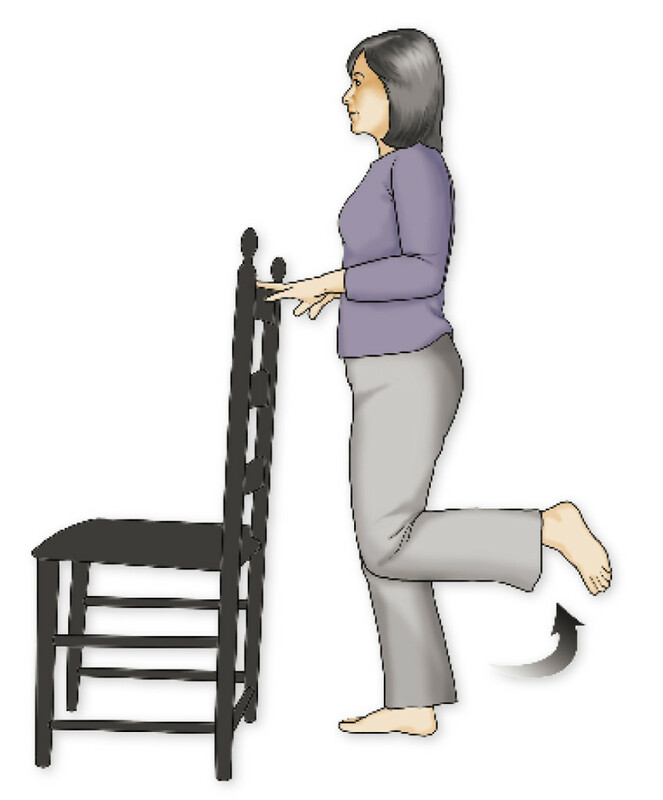 Poor lower-body function appears to be common among those whose mobility is compromised. The reference to “function” may apply to both muscles and the vascular system—muscles weakened by age and inactivity, and a vascular system that does not provide adequate circulation of oxygen-carrying blood to muscles and bones in the legs and feet. Now there is compelling evidence that specific dietary measures, in addition to resistance exercise, are needed to prevent the loss of muscle mass, strength, and performance in older adults. Exercising, of course, should be combined with a nutrition program that includes adequate protein, fruits and vegetables, and vitamin D to lessen the impact of aging on muscle tissue. Specific dietary measures are needed in addition to resistance exercises to prevent the loss of muscle mass, strength, and performance in older adults. The intake of protein is an important component of muscle health. The recommended intake is 1.0 to 1.2 grams per 2.2 pounds of body weight per day. The acidity of proteins has to be balanced by enough fruits and vegetables so the diet retains its alkaline nature. Diets high in alkaline-containing fruits and vegetables are associated with the preservation of lean tissue mass in older adults. These fruits include watermelon, cantaloupe, mangoes, pears, grapes, and passion fruit, along with dried fruits such as dates, apricots, figs, and raisins. Alkaline vegetables include endives, asparagus, and alfalfa sprouts; moderately alkaline vegetables include celery, sweet potatoes, pumpkin, corn, carrots, and turnips. These simple exercises can help improve and regain your balance and coordination. You can do them at home or anywhere you happen to be. A few minutes each day can make difference. 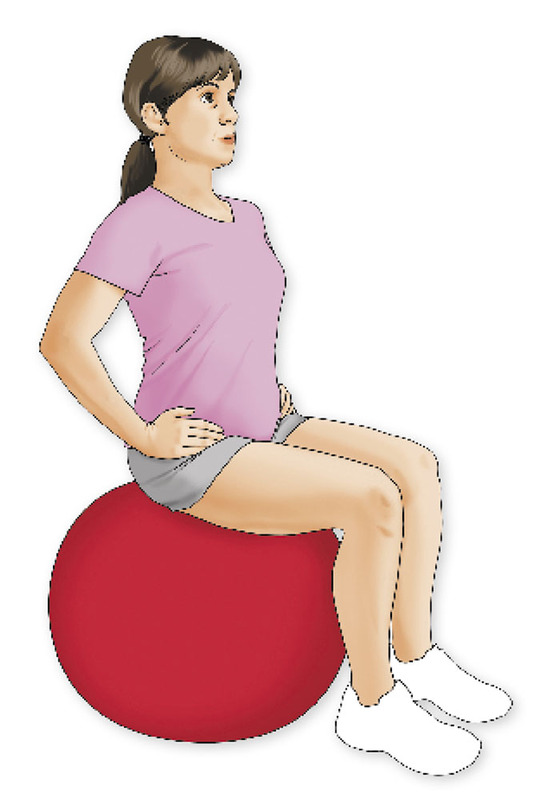 Sit on exercise ball with feet flat on the floor. Lift one leg up and hold balance for five seconds (start on toe tip if lifting leg is too difficult). Do four to five on each side. For added challenge, stretch arms out to side in “T” position. Stand near chair to brace yourself lightly with fingertips, if needed. Do two to three times on each leg. Keep head and neck in neutral position. Lift one arm and opposite leg. Hold for 10 seconds then repeat on other side. Do two to three times on each side. add, aging, blood pressure, carrots, corn, dance, dates, detoxify, diet, exercise, exercises for seniors, fitness, functional exercises for seniors, health, health problems, high blood pressure, inactivity, mobility, muscle, muscle mass, nutrition, physical activity, potatoes, protein, strength, stress, vegetables, vitamin, vitamin d.